But without taking into account the distinctions brought out by St. Thomas the argument about the legitimacy or otherwise of profit and the profit motive can still remain at cross purposes. Indeed, St. Thomas begins his analysis by adopting Aristotle's strictures against this kind of profit (lucrum). All such kind of “business” (negotiatio), i.e. buying in order to sell again at a profit, because their immediate object is the possession of (more) money, considered in itself (secundum se consideratum), has a certain turpitude (quamdam turpitudinem) (II-II, q. 77, art. 4. c). But that is because such a way of operating in the exchange system (the market), considered in itself lacks a due end; it is not natural, for a natural end bespeaks a limit. It can, however, be made good by the business person subordinating it voluntarily to natural needs or reasonable ends in relation to our need for material things. 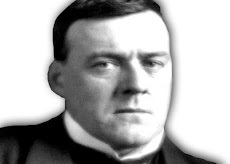 Now it is clear that the modern economists, taking their lead from the practice of modern commerce, see no difference between the two kinds of trade (CMC and MCM), and correspondingly between the two kinds of “profit”, the former of which is morally unquestionable, but the latter questionable. Indeed, as indicated above the modern economists have opted to defend a notion of profit and the profit motive that is morally illegitimate. It cannot possibly be a regulator of a business in any morally acceptable sense. For, it signifies the absence of any rational regulation or moderation in the business of “making money”. Catholics, then, have a problem here of joining issue on this matter with the modern mind. It is a perfect example of equivocation leading to sophistical reasoning. The two kinds of exchange or trade or commerce and, correspondingly, the two meanings of profit in the discussion are confused as one. Since the notion of profit has become associated with ordinary or natural exchange (CMC) it must be seen as good. When no distinction is made between this and the other more sophisticated exchange process (MCM) it becomes impossible to assert that profit in any sense, and the corresponding profit motive, is not good. The strictures of the “mediaevals” against profit (lucrative profits) is then made to look ridiculous and out of touch with real economic life in the 21st century. To a certain extent Catholic intellectuals writing in this area have been taken in by this sophism. There are some who are uncomfortable with the Church's critical attitude to Capitalism and read the last encyclical as softening its stance. Indeed, without the necessary distinctions being brought into play it can be seen how it is possible to so (mis)read the encyclical. Chesterton, however, as mentioned above, had a kind of intuition into what was wrong (see his discussion on “trade”, and its perverse nature as a modern phenomenon). But without the necessary distinctions outlined above it was not possible for even him to speak clearly and definitively about modern business and profits. To summarise (I have discussed this question at length in other articles which can be found on the website www.cts.org.au, and also on the forum site of the Chesterton website of Second Spring), some profits are naturally good obviously, as when applied to what the shoemaker makes over and above his expenses; in this material sense it means simply the shoes (expressed in terms of money value) he can offer for sale. But he is not interested in the shoes for his own use. That is where the social system of exchange or trade comes in. What he is interested in is not even the money he can obtain for them, but what useful things (for himself and his family) he can buy with the money. That is the real end of his “business” of shoemaking, and something eminently natural and rational. His engagement in exchange is the model for all natural exchange (CMC). Other profits are not from these kinds of business. There is a way of doing business that operates in quite an opposite way. What is this kind of business? One does not produce any new material good or service, but first buys something, not to use it but to sell it on “at a profit” (MCM). As noted above, St. Thomas applies the word “business” (negotiatio) in this context only to this kind of business, not the other. It is a special kind of economic activity (like money itself sui generis), something “artificial” (in a moral sense), non-natural (but not for that necessarily unnatural). But it is unnatural if the profit is something sought for its own sake or without a (natural) limit; if it is reduced to the desire for money as such. What is this kind of “profit”? Note here again, that in this context this is the only thing that St. Thomas calls “profit” (lucrum), intending something artificially (or accidentally) produced in the exchange process. It is not something like the equivalent of shoes that one had made and for which in exchange one obtains other things of equal value. The “profits” of the shoemaker's “business” is not what St. Thomas is referring to. There is no question of its being anything but good, considered in itself. The kind of exchange with which St. Thomas is concerned is not based upon equivalence of value of two things in the process of selling one's own products (or services) and buying others, but on the differences in value in the process of buying and selling the same thing. The whole object of this second (and socially secondary) kind of activity is not quite “to buy cheap and sell dear”, but certainly to buy cheaper than one sells, or sell dearer than one has bought. If one focuses exclusively on this kind of exchange (as modern minds, especially economists, tend to do), out the window goes the idea of equivalence of value or natural justice in exchanges (a just price). Some economic theorists then stupidly believe that all exchanges are based upon inequality of values. The idea of profit here, then, is that of “making money” in the sense of the difference in monetary values resulting from the transactions, the “creation” of wealth (conceived as money). It is a pure money profit. Nothing more in terms of material utilities (such as shoes) has come into existence, but the trader is richer. How can that occur? It can only come about because of the potential for differences in the values, or fluctuations in the prices of things. Prices fluctuate (accidentally) for all sorts of reasons, objective and subjective. From the very nature of how prices are set there is scope for differences in value. For they are practical and based upon a common estimate of the uses of things that are not exactly determined (non punctualiter as St. Thomas says). A just price rather expresses a range than an exact ratio, even though it must be set at an exact ratio where money is concerned. Hence, there is always scope for “negotiation” about the price. A shrewd negotiator can easily profit from this inherent quality of the pricing process. We might call this the subjective factor. There are all sorts of objective factors too that cause a variation in price over time and place without any suggestion of injustice. However, whatever the reason, the business of one who engages in this special kind of exchange (well known to Aristotle and St. Thomas) had a name and a nature which distinguished it from ordinary exchange or trade. Moreover, St. Thomas is primarily concerned with the uses of the terms negotiatio and lucrum in the moral context of this special form of business being used badly, and the profit therefrom, i.e. where one seeks profit without limit. The closest we have to it today is “dealing”. but even this does not distinguish between the good and the bad. It is most confusing and misleading then when in modern translations of their works the word “trader”, in its sense of an ordinary exchanger, is used. St. Thomas is not saying that this second kind of exchange cannot be engaged in without blame. The profit therefrom can be legitimate if limited to one's natural needs for material things or by one's reasonable desires for things measurable in monetary terms. This makes the moral judgment difficult in regard to any individual person. One would have to know a lot about his or her circumstances. But St. Thomas and we are concerned with principles not with cases. The activity can be judged in general terms. When the leaders of society, led by the “intelligence” of their advisers, do not see the distinctions, or confuse all trading as of one kind only, all sorts of social and economic problems go unaddressed. Chesterton was focused upon the more fundamental structural defects in the modern economy, as have been the social encyclicals. The modern economists, however, are concentrating more on the economy's functional aspects, taking their ideas mainly from commerce (and finance – which we do not deal with here as it is material for the treatment of a separate question, that of usury). By virtue of their perspective the economists do not see any moral dimension in economics – it disappears altogether with the disappearance of the notion of the just price. Everything other than the activity of money-making is simply a given, no questions asked, and money has no “colour”. That is what is meant by saying the modern economists and the theologians and moral philosophers, with whom Chesterton may be classified, are at cross purposes. They might as well be studying two different worlds. The moderns tend to think of Capitalism as a sophisticated money-driven system “creating” wealth and even driving progress in technology and production. The fact that the benefits of such wealth-creation and technical progress seem to be disproportionately enjoyed by a relatively small part of the population is something that does not enter into their considerations. It is just the way things are. Their world is the world of money, commerce and finance. These are the realities that dominate the economic order. Might it not be that the world that the modern economists believe they are investigating is in fact the unnatural exchange economy known to Aristotle and St. Thomas but “realised” in modern times to an extent that they could not have imagined? Might it not be that the real economy is the natural one that struggles to function under the incubus of such a disordered scramble for wealth (money)? This would explain why there is such a disconnect between the thought of Chesterton and that of serious students of the modern economy. They are studying two different worlds. It happens that what Chesterton is examining is the fundamental part of the real economic world. The economists are basically studying an aspect of the real economy which has the reality only of a disorder or evil in the exchange system of the body economic; it is a subject matter or economic study only as the study of a disease is a necessary part of the study of health. These two studies need to be corrected and then re-connected, the first by including once more Aristotle and St. Thomas's fine analysis of commerce in its twofold nature. We need to know about that part of the economy that the economists study; which today is “where the action is”. But it cannot be studied simply as a socio-economic pathology which is not recognised as such. 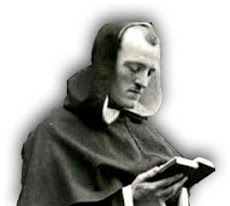 Therefore the philosophy of Distributism needs to be supplemented by an explanation of the modern exchange system and a critique of its disordered state. We need to cure modern economic science of its virtue-blindness, and hence vice-blindness, the relevant virtue being the social one of justice. As indicated at the start, this abstraction in the name of science, or stance of neutrality, in social studies of itself engenders a distorted perspective – which allows many injustices to pass unacknowledged. There is not much prospect of a rapproachment between the Catholic social moralists and the “scientific” economists whilstever this warped vision persists. On the other hand, the Catholic moral critique of modern economic life and thought will continue to be hampered without a clearer vision of St. Thomas's distinctions regarding trade and profit. 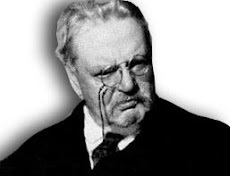 Without such an addendum to his critique Chesterton's valuable insights in his social philosophy will continue to go unacknowledged and unappreciated, not just in the academic world, but also among most Catholic intellectuals many of whom are working earnestly in this field of socio-economic studies. Just to show that Chesterton is not alone in his view of the perversity of the conditions of much of modern social and economic life, when most of us seem to have succumbed to the conditioning influence of advertising and the media, we set out below a few more quotes attributed to well known citizens of the New World, with a final quote from Chesterton.